This book is the story of a majestic bomber of the propeller era flying perilous combat missions against a sleek, nimble warplane of the jet age, the Soviet MiG-15. A very heavy bomber and a sky giant during World War 2, at that time the B-29 was the most advanced combat aircraft in the world. 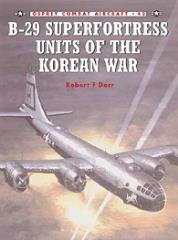 By the time North Korea attacked its southern neighbor in 1950, the B-29 had been reclassified a medium bomber. Many of its crew members had fought their war and settled down to raise families and begin careers only to be recalled to fight another war on a distant Asian peninsula.